Scanning and document capture is an ideal product extension for dealers given the continuing digitalisation of workplaces and the upcoming GDPR deadline. 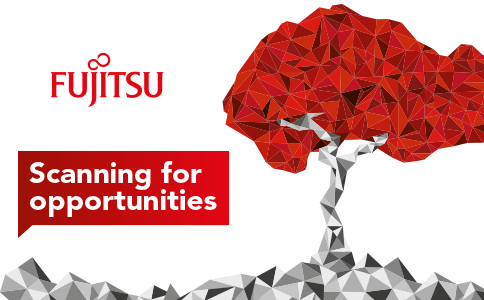 Austin Clark finds out more about the opportunities on offer from Andrew Cowling, business development and channel marketing specialist at Fujitsu. Despite the talk over the past decade and more of paperless offices, printed documents are still an integral part of today’s workplace. However, traditional paper-based processes are being put under pressure by the uptake of digitalisation – driven by the likes of GDPR and the need to secure data – as well as employees demanding the right to work remotely, and be mobile, and the need to boost productivity and cut costs. As a result, more organisations than ever before are turning to the power of scanning and digital document management – creating a wealth of lucrative sales opportunities for dealers. “Scanning solutions are a great way to remove customer pain points, which makes them an ideal sell for forward-thinking dealers who are in constant dialogue with end-users,” explains Andrew Cowling, business development and channel marketing specialist at Fujitsu. “Customers are demanding faster access to their information and ever more rapid responses when contacting customer services. Digitalisation via scanning and the correct software solutions allows this to happen, helping businesses to find ways to differentiate themselves and stay one step ahead of the competition. It has been hard to ignore the fact that the GDPR compliance in May 2018 is nearing – and Andrew says this major data security drive is encouraging more businesses to go digital with their documents. “Focus is often placed on cybersecurity threats, server hacks, database vulnerabilities and data stored on, and transmitted between, servers and networks. Often, though, paper documents, records and files are being severely overlooked. Look out for more GDPR-focused advice from Fujitsu on the Dealer Support website. Fujitsu’s special promotions and its sales lead pipeline, making it a must-have for all dealers. Training modules on their ranges and positioning, informative and helpful webinars, partner conferences and knowledge-share events further add to the appeal. Dealers can sign up for free by completing the simple registration form at www.imaging-channel-program.com. • Downloading the Imaging Channel Essentials app that allows dealers to view Fujitsu’s product portfolio, stock information, download collateral and view rewards points status. More organisations than ever before are turning to the power of scanning and digital document management – creating a wealth of lucrative sales opportunities for dealers.